Animals are an important part of many people's lives offering unending love, fun and companionship. In fact, 63% of households in Australia contain a pet. But when life takes a more dangerous turn, where do companion animals fit within a domestic violence context? ABC Radio National's Paul Barclay will facilitate a conversation with expert panellists - authors Nik Taylor and Heather Fraser, and social worker Christine Craik - to discuss "Companion Animals and Domestic Violence: Rescuing Me, Rescuing You". Nik Taylor is Associate Professor at the University of Canterbury, New Zealand and Heather Fraser is Associate Professor at the Queensland University of Technology, Australia. 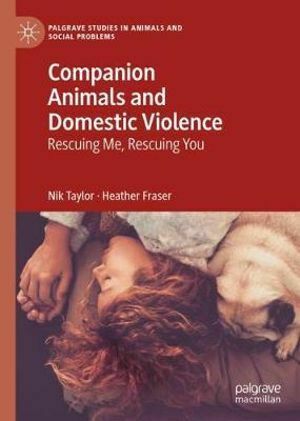 They examine the impact of human-companion animal relationships before, during and after the violence, The authors of the book question human-animal companionship in the context of domestic violence and advocate a new understanding that enables animals to be constituted as victims of domestic violence in their own right. This important event will be held at Avid Reader bookshop, Boundary Street West End on 8 May 2019, from 6pm-8pm. Registration is until 08 May 2019 6:00 PM. Printed tickets are not issued and your booking will be on a door list under your surname. An Australian Bureau of Statistics Report found that 1 in 4 women have experienced emotional abuse by a current or former partner since the age of 15. Join the conversation and be part of the change. Is Moray Street Still Brisbane's Most Liveable Street?